Alabama is an equitable distribution state when it comes to dividing assets and debts in a divorce. Equitable distribution means the court will divide the debts and property of the marriage in a way that is fair and reasonable when considering the financial and personal circumstances of both spouses. The responsibility for marital credit card debt incurred by both parties is assigned by the court based on Alabama's equitable distribution principles or by a voluntary, mutual agreement reached by both spouses. Premarital credit card debt is the balance on a credit card account that one spouse incurred before marriage. The other spouse is usually not responsible for debt on a premarital card, and that debt is not typically part of formal divorce settlement negotiations or the final agreement. However, if the other spouse made charges on the premarital card during the couple's marriage, she may be responsible for that part of the card's total balance under Alabama's equitable distribution laws. Debt on credit card accounts opened during the marriage that both spouses used or that one spouse used to make purchases for the household is the equal responsibility of both parties. Marital credit credit debt is usually divided between the parties through negotiation during the divorce proceedings in Alabama. The final divorce agreement lists which party is responsible for each debt and how much each will be required to pay. But contract law applies to the parties' agreement with the credit card company and takes precedence over the terms of the divorce agreement. Therefore, if a spouse who is obligated for the credit card debt under a divorce agreement doesn't pay off the debt, the card issuer can take collection actions against the other spouse for the entire amount due. If a divorcing couple has a large amount of credit card debt, they can file a joint bankruptcy petition. A Chapter 7 bankruptcy proceeding "wipes out" unsecured debt through a liquidation of assets, while Chapter 13 puts the couple on a repayment plan with their creditors. Whether the couple is eligible for Chapter 7 or Chapter 13 depends on their income. In most cases, the couple's income must fall below the median income for a similar household in Alabama to qualify for Chapter 7. If the couple's income is above the median, they may still qualify for Chapter 7 if their disposable income falls within a certain range. The spouse who is not responsible for a particular credit card debt can have a "hold harmless and indemnify" clause written into the Alabama divorce decree. This clause will not prevent a credit card issuer from trying to collect the debt if the obligated spouse doesn't pay it, but the wording of the clause does give the non-liable spouse legal standing to sue the obligated spouse if she is forced to pay the debt or if she incurs legal expenses stemming from collection proceedings. Credits cards are a common way to purchase items when you need them. If you are married, you may not give a second thought to how this debt will be treated in the event that you divorce. Credit cards present some unique issues during property division -- and Illinois, like other states, has specific rules for assigning responsibility between divorcing spouses. To some extent, whether a divorce decree binds entities or individuals other than the spouses depends on individual state laws and how the third parties got involved. However, the laws regarding some third parties are common to all states when they involve the jurisdiction of two separate courts. Filing for bankruptcy before a divorce has been finalized will complicate the divorce settlement. While state law governs divorce, bankruptcy is a federal procedure that shields the petitioner(s) from some, but not all, of the debts incurred during and before the marriage. 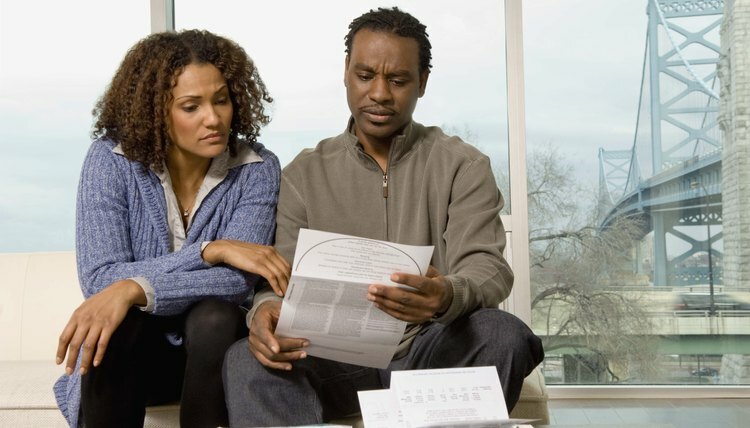 If you are considering a bankruptcy before a family law court finalizes a marital settlement agreement, you will have to carefully consider the division of property and the assignment of debts between you and your spouse, as well as the obligation of each of you to settle with creditors after the marriage ends.